Formsprag overrunning clutches deliver thoroughly proven, dependable power transmission. Careful selection of highest quality materials, precision-manufactured by experienced craftsmen, conscientious assembly, and rigid adherence to detail guarantee a reliable, quality product. 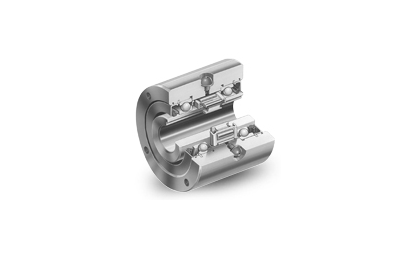 Overrunning clutches handle torque loads up to 949200 Nm, with other sizes available by request. The Formsprag “Free-action” sprag retainer design spaces and positions each sprag uniformly, yet allows independent action of each sprag during overrunning and while under load. Sprags are not caged. The “Free-action” principle allows each sprag to be energised individually. Check out the Formsprag website or contact us for more information.